What is the Difference Between Assessed Value and Market Value? 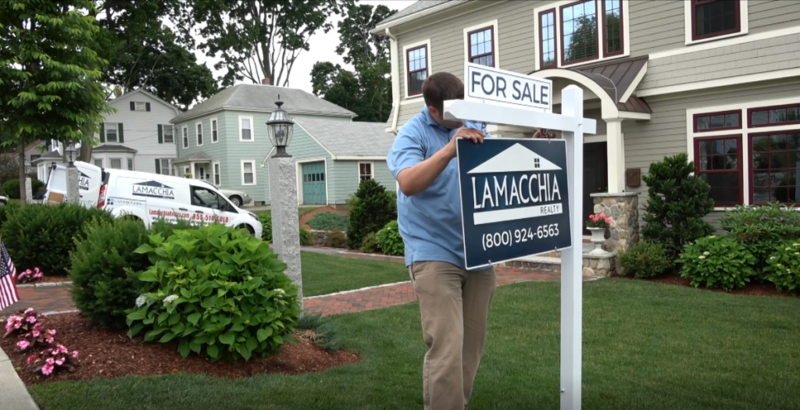 Lamacchia Realty has some of the best real estate agents in the state of Massachusetts. They couldn’t be the best if they didn’t have the strong support from our inside staff which is why we started the Staff Stars series. Our Staff Star interviews will highlight a new staff member that goes above and beyond for the company, the agents, and for our valued clients. This time around the award goes to Adam Pasciscia! 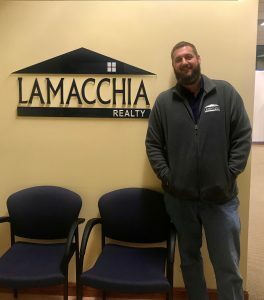 When did you start at Lamacchia Realty? I started with Lamacchia Realty in 2010, so I have been with the company for 9 years! Describe your role within the company. Field agent and property manager. I spend of my day on the road meeting with homeowners and taking professional pictures of their properties, inspecting homes systems, creating online floor plans, and 3D imaging with our new Matterport system, as well as providing staging support for sellers and hanging signs and lockboxes for our agents. I love spending time with my family, especially in the outdoors! 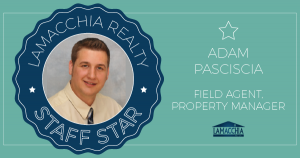 Tough to choose but I’m particularly proud of my role in Lamacchia Property Management. Making sure our agents and their clients are satisfied as well as meeting new faces every day! We are supportive and FUN! I worked at too many places to list before I came here, the biggest difference is those were all just jobs, this felt like a career right from the start. If you can maintain a positive attitude and always do your job to the best of your ability this is an awesome place to work!